Hundred’s of Coves for waterskiing, tubing and wakeboarding. Have fun this summer, be safe and enjoy the lake. 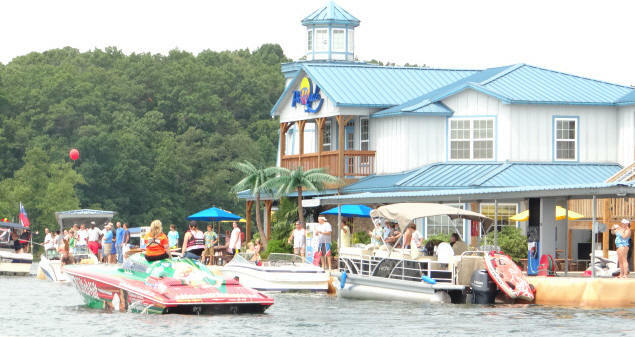 Lake Lanier’s ONLY floating Tiki Hut Bar & Grill right on the water. Family-friendly with a water play place for the kids, too! 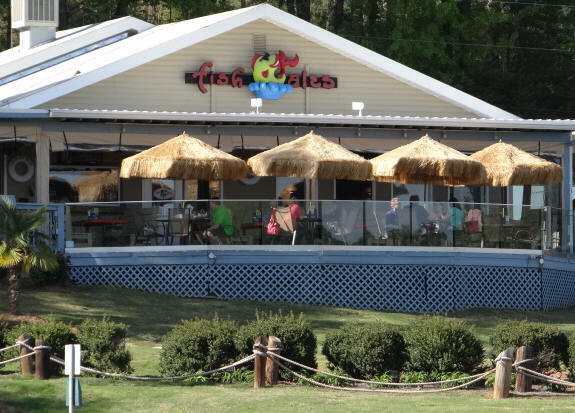 At Pig Tales you can enjoy delicious food, incredible drinks, excellent service and beautiful open water views of Lanier! Located inside Hideaway Bay Marina in Flowery Branch, this is a favorite to Freedom Boat Club members. Spring & Summer hours beginning in April with great customer service year round! Conveniently located at Gainesville Marina between mile markers 46 & 48 on the Chattahoochee River section of Lake Lanier. Great food! Cold drinks! Voted one of the best eateries on Lake Lanier.